Boundless is a leading exhibition stand solutions provider in the Middle East, specialized in exhibition stand design and production. With quality service as the company’s main thrust, you can be assured that you’re getting only the top-of-the-line output when it comes to your exhibition needs. Granted with a number of awards, Boundless has proven excellence in local and international exhibition stand construction services. Our projects speak for themselves as innovative designs are our winning factor. The company’s hard work has been recognized as we bagged the Gold Award for Most Innovative Stand Design at the Tyrexpo Asia in Singapore and Special Citation for Best Stand Design at the Automechanika in Moscow. 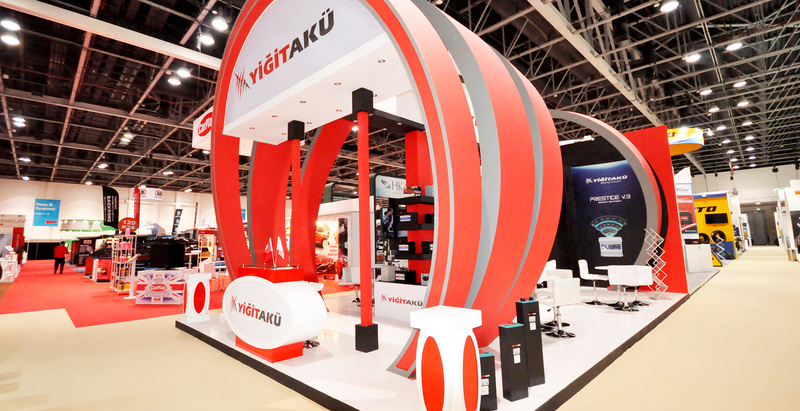 We are composed of accomplished professionals who are committed to creating unique and innovative exhibition stand designs. We have a full in-house design and build a capability that enables tailor-fit designs that are suited to your needs and requirements. We combine functional & innovative exhibition stand designs with outstanding project management resulting in top-of-the-line quality, leaving a positive impression on your exhibits. We aim to empower our team through constant skill upgrades, leadership coaching and client service culture – TO BE THE BEST IN CUSTOMER EXPERIENCE IN THE EXHIBITIONS INDUSTRY – and that’s our vision. In Boundless, we can help you turn your ideas come to life. We are with you in every step of the way as you achieve your marketing goals by providing with you a complete and creative exhibition stand solution. Our services are designed to help you achieve better business results. As an approved stand contractor to exhibition venues, we provide you with custom-made designs that perfectly match your needs whilst making sure that guidelines are being followed. We take the time to cater to the needs of every single one of our clients, developing the most eye-catching exhibition stand that brings out the best of your exhibited products and services. Our designs are designed to encompass everything that your company stands for – high quality, ingenuity, professional, and exceptional value. We can make the most out of limited space and budget. Boundless is based in Dubai, United Arab Emirates and have delivered hundreds of successful projects not only locally, but also internationally. The company’s dedication in providing bespoke exhibition stands have gained the trust of valued clients from all over the world.